When Sir James Goldsmith in his book, The Trap, predicted in the mid-1990s that the nation called Nigeria will disintegrate in a similar manner to how Yugoslavia did, many Nigerian intellectuals dismissed it but with tacit concerns. They and many more were far more certain of the, reality or illusion, that Nigeria’s oil wealth would hold the nation together with firm unity regardless of the internal strife, differences and cleavages encountered between various “interest groups” and “ethnic groups” as predicted most notably by Claude Ake. However, Ake did imply that the end of oil may be the end of Nigeria. With major changes in the international oil market are both Goldsmith and Ake correct in their predictions? It would be most naive to think that any self-identifying ethnic group within Nigeria is by consensus happy with the state of national integration it finds itself in today. Every ethnic region has exhibited strong secessionist tendencies within the short post-Independence history of Nigeria. More recently, it has taken major flash points like President Buhari losing presidential elections and the mysterious ‘politically engineered’ death of MKO Abiola or minor ones such as the murder of a Hausa girl in Lagos because she saw a local masquerade women are forbidden to see and mass murders of men, women and children in Ijawland protesting oil oppression by security forces to remind us the world that Nigeria is not “one”. 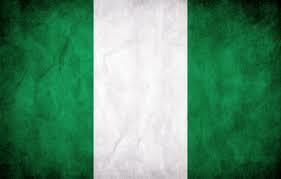 Nigeria as a nation appears to have squandered numerous opportunities for “Oneness”. Why has Nigeria failed to successfully integrate the ethnic groups into a true federal republic? The mechanics of fiscal federalism seems to be the only concern of the nation. Why is oil needed to keep the country together? We shall take a look at the problems as they manifest in present times. By the way, is there any state in the federation that is tribally homogeneous? What about managing the the states revenues more efficiently? What’s in a statehood – will it be just in a name? What has the “strong secessionist” got to show that they are better managers and integrators than Nigeria which has”failed to successfully integrate the ethnic groups”? A cursory look at the state of affairs in their home states makes me wonder whether the tears of oppression is that of a crocodile. Let’s love or tolerate one another and live together like civilised people would do. No more, protests, bombs, strife or war please! !